New to digital photography? Eager to capture better images of the natural world? 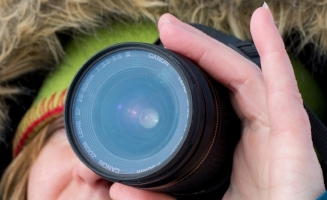 In this hands-on series, develop the foundations of a well-rounded nature photographer. We’ll explore composition, artistic technique, exposure, lighting, camera skills, and equipment settings. The perfect course for those curious about f-stops, shutter speeds, and the mysterious buttons on your new camera. Learn how to use your camera to develop a deeper connection with nature, while building the technical skills to dramatically improve your photography. This class includes three weeknight classroom sessions, followed by a morning outdoor workshop. a digital camera is required. Learn to harness your camera to become a better naturalist while building the ecological literacy to dramatically improve your nature photography. In this full-day program, we’ll practice blending photography techniques and naturalist skills to achieve a deeper connection with nature. In this small group retreat led by a master naturalist and nature photography guide, lessons and opportunities are customized to your interests and experience. Participants will leave with a team-critiqued portfolio of beautiful photographs, and a powerful new approach to walking in the Vermont woods. Ideal for all levels of experience. Morning and evening photographic naturalist walks in Shelburne Farms’ picturesque forests and landscapes. Afternoon workshops on photographic composition, camera technique, post-processing, and online citizen science platforms for photographers. After-dark night photography, astronomy, and owling excursions. Wilderness awareness and mindfulness practices utilizing cameras and artistic techniques. Photographic ecology “missions” combining natural history investigation with technical photography skills. New to digital photography? In this hands-on series, develop all the foundations of a well-rounded photographer. We’ll explore composition, artistic technique, exposure, lighting, camera skills, and equipment settings. The perfect course for those curious about f-stops, shutter speeds, and the mysterious buttons on your new camera. 5 - 8 hours of instruction. Learn the art of “developing” your digital photographs. Use Adobe’s simple, powerful, and affordable Lightroom software to process your pictures into spectacular pieces of art. In this series, master the use of basic universal enhancement tools (crop, saturation, contrast, etc. ), learn to import and organize your photos, and practice more nuanced techniques (tones, curves, filters, etc.) for polishing snapshots into professional-quality photographs. Post-processing is a skill, whether it be removing red-eye, retouching a polaroid, or invoking fantastical tones in a moody landscape. 4 - 6 hours of instruction. Unlock your inner photographer with the camera and apps on your mobile device. Practice simple technical skills for capturing and editing photographs on smartphones and tablets. Ideal for those aspiring artists who want to take great photographs without the hassle of complicated camera gear. 2 hours of instruction. Photograph and enjoy the region’s most breathtaking forests, vistas, streams, and farmsteads in Vermont’s peak fall colors. Join this quest to bring your outdoor photography to the next level. Spend mornings and evenings shooting favorite local destinations in the “golden hours” of sunrise and sunset, then return to the Green Mountain Club in Waterbury for midday workshops on composition, post-processing, and camera technique. Receive one-on-one instruction tailored to your skills and interests in this intimate, small-group retreat. Appropriate for photographers of all skill levels. Physical abilities: Participants should be able to comfortably hike up to 2-3 miles per day to access prime photography locations, and navigate loose rocks, slippery leaves, and other such hazards involved in shooting Vermont’s northern hardwood forests. Join us for this full-day, small-group photographic workshop featuring the South Hero Land Trust’s favorite properties. This program teaches how to use your camera to develop a deeper connection with nature, while building the technical skills to dramatically improve your photography. We’ll visit farmsteads, orchards, forests, and fields to photograph South Hero’s most beautiful scenery in prime morning and evening light, and spend the afternoon practicing exercises that fuse natural history with composition and camera technique. Participants will leave with beautiful photographs and a powerful new way of walking in the woods. Suited to photographers and nature lovers of all skill levels! Breakfast is included. Please pack a lunch. A digital camera is required, and a tripod is recommended. Specific details will be provided upon registration. This workshop is limited to 8 participants to maximize one-on-one instruction.